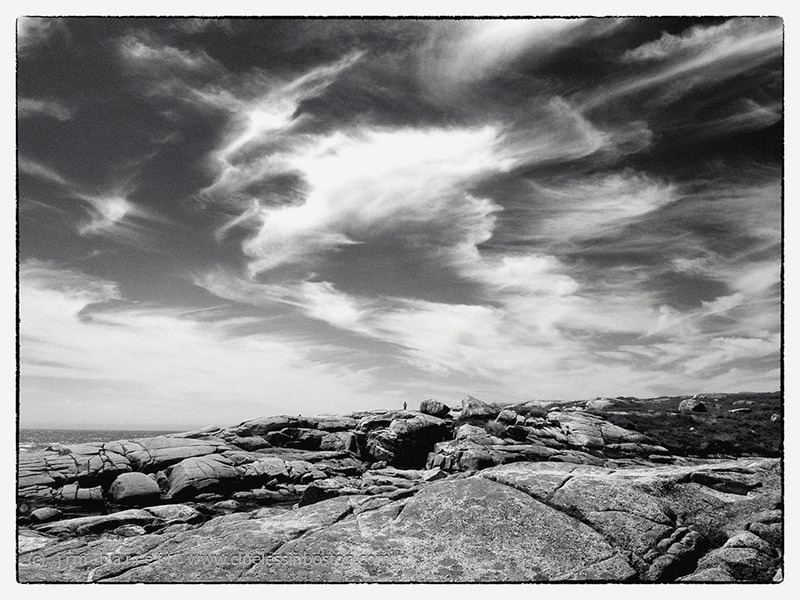 Rocks and sky at Peggy's Cove, Nova Scotia. Visit other Skywatch Friday sites to enjoy skies from around the world. Splendid sky!Love your choice for b&w! The lone, distant person makes the shot. What an awesome b&w shot! Spectacular! Reminds me of coastal Maine. Thank you for sharing! Glad to see you back after some time off. We would love to visit the Maritimes and never got, in past because it's so expensive to fly to Canada from the US these days. Some day. Show us around. That is really beautiful. I love how dramatic and moody the sky is and how the texture of it still comes through in black and white. You have a knack with black and white images. More, please! really very good ! well done !